Just one year after introducing its successful Ultra96 development board, Avnet (Nasdaq: AVT), a leading global technology solutions provider, has released the new Ultra96-V2 to power industrial-grade Artificial Intelligence (AI) and Internet of Things (IoT) applications. Complete with an updated radio module that enables engineers to extend their reach into new markets, Avnet’s Ultra96-V2 is an ideal platform for smart home, automotive, industrial controls and many other applications. The Ultra96-V2 development board will be available in Asia from June for $249. 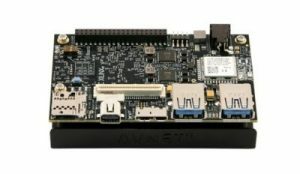 Avnet’s new Ultra96-V2 is an ideal platform to power industrial-grade AI and IoT applications for smart home, automotive, industrial controls and many others.